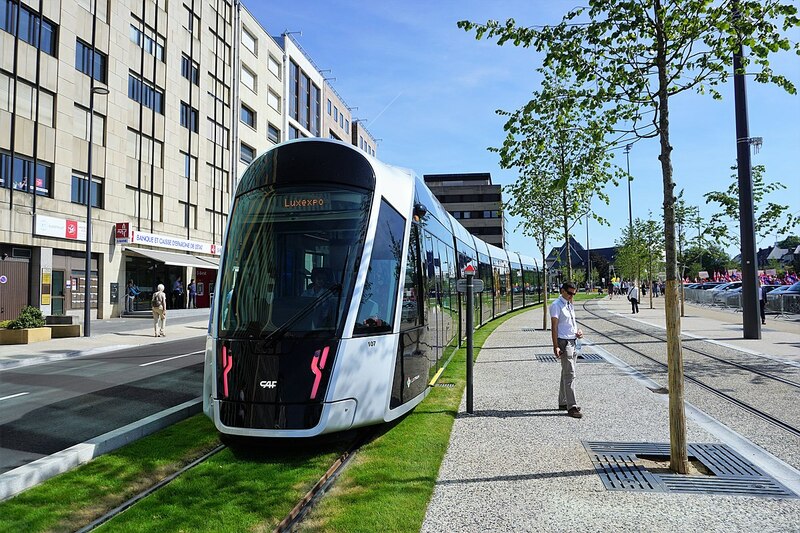 At the end of 2018, the coalition government in Luxembourg announced plans to abolish charges for anyone using trains, trams and buses. Beginning next spring, public transport across the country will be free for all. The measure extends an existing scheme allowing those under the age of 20 to travel free on the country’s public transportation network. One of the driving forces behind the move is tackling air pollution, largely caused by motor vehicles. In the capital city of Luxembourg, traffic congestion is a serious problem, where a study has suggested that drivers in 2016 spent an average of 33 hours in traffic jams. Across Europe, air pollution is estimated to cause half a million premature deaths each year. Beyond Luxembourg, the idea of fare-free public transport has been gaining ground. In September, Dunkirk became the largest city in Europe to introduce free transit on its entire bus network. And last summer, Estonia extended to the whole country a free public transport scheme that has been operating in the capital, Tallinn, since 2013. There’s also growing interest in developing fare-free transport in Germany and Paris. While environmental and public health considerations have pushed the idea of free public transport up the political agenda, the measure is also seen as a way of boosting local economies and tackling social exclusion. But free public transport hasn’t worked everywhere, and some schemes have been withdrawn, largely because the costs have been unsustainable. In the 1970s, a free transportation experiment in Rome tried and failed to persuade drivers to exchange their private vehicles for public transport. Forty years after it began, a city centre free bus service in Seattle was dropped as part of a cost-cutting programme in 2012. Also in 2012, Portland’s inner city free public transport system, introduced in 1975, was withdrawn under a package of service cuts. In 2014, spiralling costs forced the Belgian city of Hasselt to abandon a free transport programme that had been in operation since 1997. Cost is also a factor giving pause for thought to cities considering new free public transport schemes. Anne Hidalgo, the mayor of Paris, is keen on the idea, but needs to take account of the revenue implications. Transport fares account for a third of the city’s transport budget, and universal fare-free travel would open up a funding gap of €3.5 billion a year. For the time being, she has proposed free public transport for children under 11. The main point of free public transport is to encourage more people to leave their cars at home, resulting in reduced traffic congestion and better air quality. The big challenge is developing a public transport system that goes a long way to matching the flexibility, convenience and door-to-door travel times of private vehicles. In 2016, a study of the Tallinn scheme found that, while public transport use increased by 14%, car use declined by only 5%. The biggest increase in public transport use came not from drivers, but from pedestrians and cyclists, whose journeys on foot or by bike fell by 35-40%. Elsewhere, research has suggested that fare-free public transport is more suited to smaller communities than to big cities. A 2012 study of 39 fare-free transit schemes in the United States found that most were successful in attracting greater public transport usage. However, these schemes were mostly in small municipalities, holiday resorts, and university towns. This research echoed the findings from a previous study, which also argued that eliminating fares for specific groups, such as students and older people, would be more effective than universal free transport in addressing traffic congestion in larger cities. In the UK, this targeted approach has been adopted for older people, many of whom can travel by bus free of charge. In London, accompanied children under 11 can travel for free on the tube, DLR, Overground and TfL rail services. But, while students and young people can benefit from reduced fare schemes, the UK has not followed the example of the Netherlands, where students can travel on buses and trams for free.